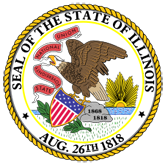 Press Release: Illinois Department of Insurance (DOI) Acting Director Anne Melissa Dowling today announced the launch of the agency's new Public Pension Division FOIA portal. 1. Department of Insurance Launches New Public Pension Division FOIA Portal (15-0845-DOI_Launches_FOIA_Portal_Release.pdf).